People may argue that Wisconsin is a flyover state, but they’ve clearly never come for a proper visit. The state’s history of immigration has created a distinct food and drink culture that ispicturesquely framed by spectacular landscapes. 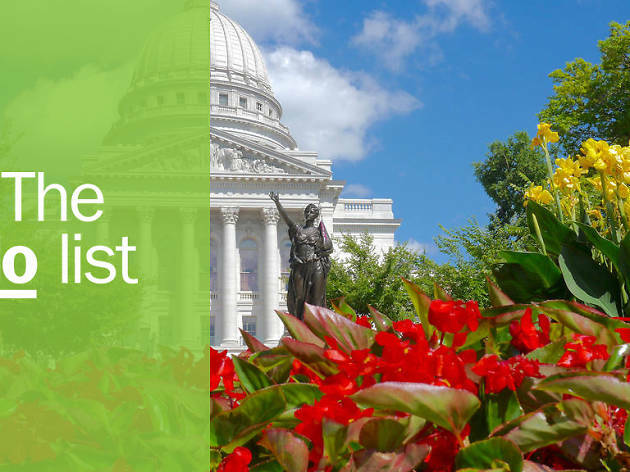 The birthplace of one of the world’s most famous architects, Frank Lloyd Wright, Harley-Davidson Motorcycles and the first team to win the Super Bowl, Wisconsin has no shortage of fun and interesting attractions. There’s a lot of ground to cover, but if you can’t see everything in one trip, America’s Dairyland will always welcome you back. 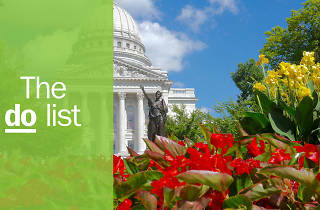 Start off your journey by following our guide to the best things to do in Wisconsin. What is it: The first and only cheese factory in Wisconsin’s biggest city, Milwaukee, serves some of the best cheese curds in the state. Fresh or deep fried, cheese curds are a state staple. Why go: While squeaky chunks of curdled milk may not sound like the most appetizing snack, they are a delicious state favorite. Not trying cheese curds would be a crime against Wisconsin. 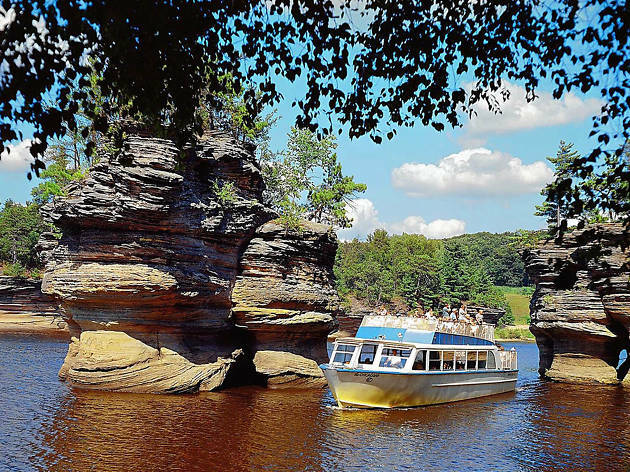 What is it: A boat tour of the Upper Wisconsin Dells, making a few unusual stops to observe some of the most beautiful landscapes in the state. 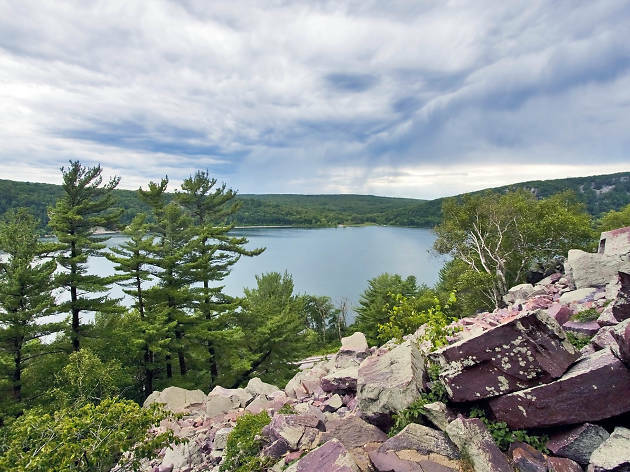 Why go: While the Midwest is considered to be largely flat, the Wisconsin Dells prove otherwise with stunning rock formations carved by ancient glaciers. You’ll stop to explore the spooky passageways of Witches Gulch and witness a trained dog make the famous leap from a cliff face to Stand Rock. 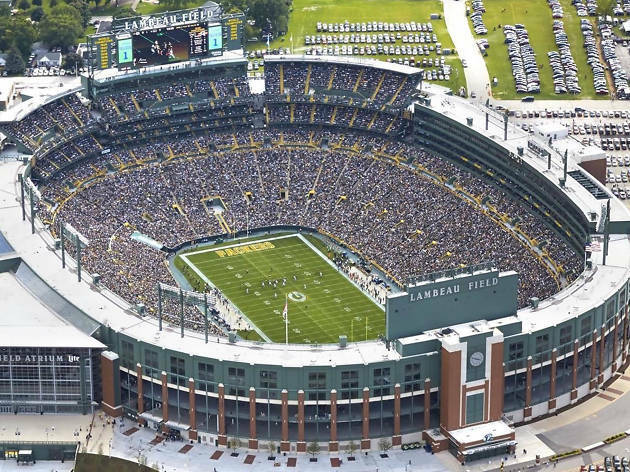 What is it: Lambeau Field is home to the Green Bay Packers, the only publicly owned National Football League (NFL) team in the U.S.
Why go: Lambeau Field is more than just a football stadium, it’s a piece of American sports history. Tours of the stadium will take you behind the scenes, while the Green Bay Packers Hall of Fame will give you a glimpse of the team’s championship trophies and a replica of former coach Vince Lombardi’s office. What is it: The village of New Glarus is considered to be Wisconsin’s "Little Switzerland" and is home to one of the best brewing companies in the state. Why go: A testament to the state’s immigrant heritage, New Glarus has kept the Swiss spirit alive with traditional festivals and Old World architecture. 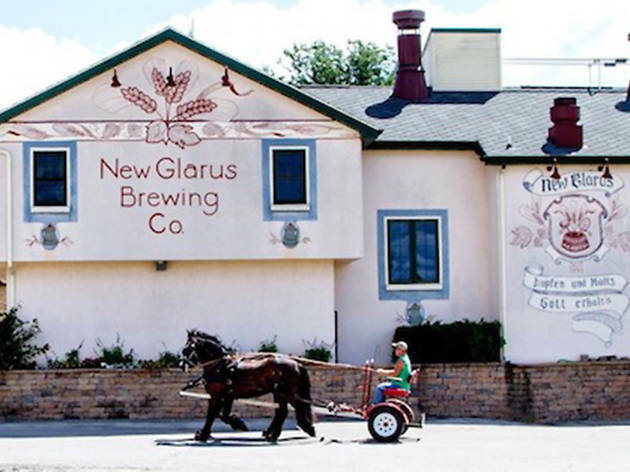 Among it all is the New Glarus Brewing Company, whose Spotted Cow beer is one of the most popular brews in the Wisconsin. What is it: The 800-acre country estate and former home of world-renowned architect Frank Lloyd Wright, which includes buildings from nearly every decade of his career. Why go: Wright was born in Wisconsin and his work can be found sprinkled throughout the southern part of the state. 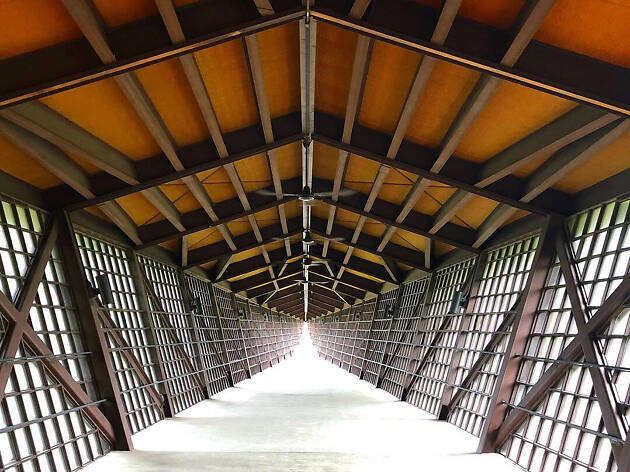 If you just have time for one of his architectural attractions, make it Taliesin in Spring Green—the surrounding valley provided inspiration for many of his building designs. What is it: An ode to Wisconsin’s Ringling Brothers, the Circus World Museum in Baraboo is devoted to preserving circus history. Why go: Two of the world’s most famous circuses, Ringling Brothers and Barnum & Bailey, were founded in Wisconsin. 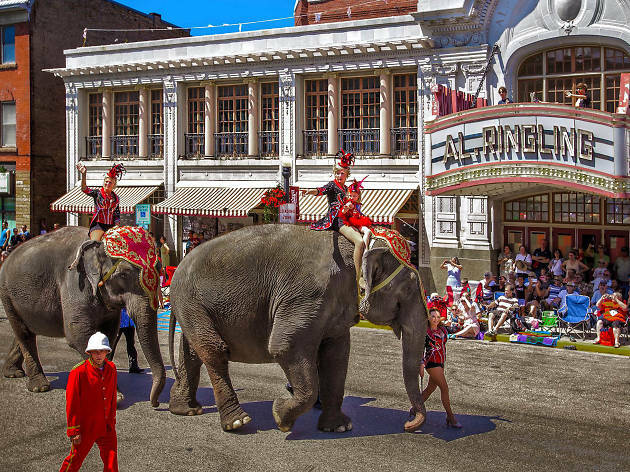 The museum showcases artifacts, including antique wagons, from the glory days of circus entertainment and hosts a live show daily through the summer under a big top. What is it: Door County has some of the best wineries in the state. Visit as many as possible. 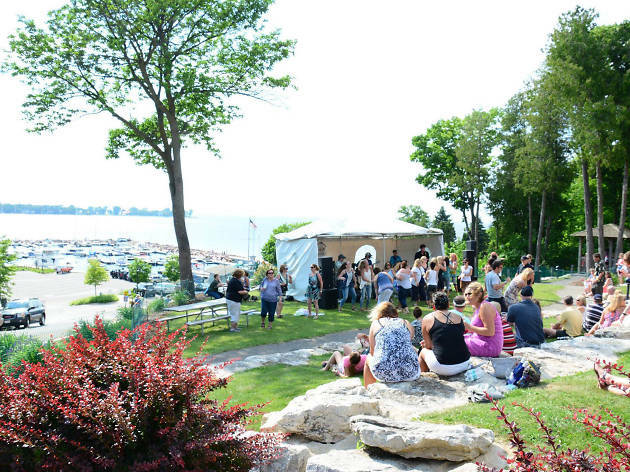 Why go: From Algoma to Fish Creek, the Door County wine trail winds up the peninsula hitting excellent wineries in some of Wisconsin’s most beautiful small towns. They are easy to explore by yourself, but taking a trolley tour is a fun option if you don’t want to worry about driving after a few tastings. What is it: Perched upon Deer Shelter Rock, House on the Rock is a unique architectural complex that’s home to a variety of whimsical collections and exhibits from dolls’ houses to model airplanes and a Japanese garden. Why go: It’s the perfect mix of bizarre and enchanting. You’ll find the world’s largest carousel, rare automated music machines, a giant sea creature and many more curious treasures here. 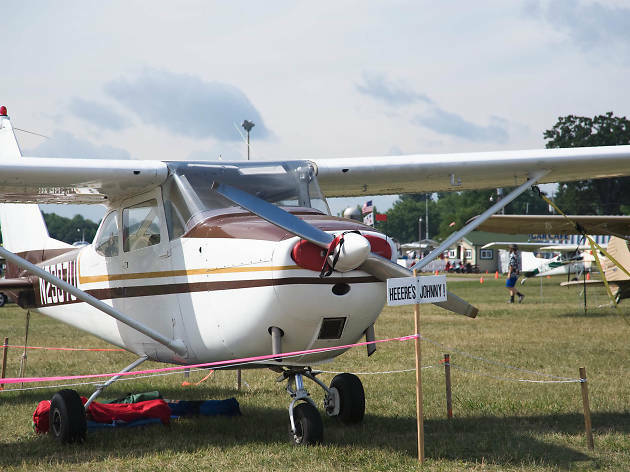 What is it: Every July, aviation enthusiasts flock to Oshkosh for the world’s biggest fly-in airshow EAA AirVenture, but the EAA Aviation Museum can be enjoyed by aircraft lovers year-round. Why go: The Experimental Aircraft Association (EAA) is dedicated to preserving the history of experimental aircraft, displaying more than 200 airplanes from World War Two fighter jets to homebuilt planes in all their brightly coloured glory. 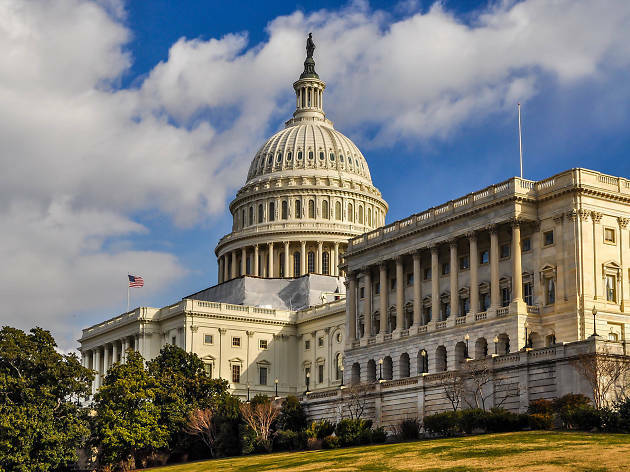 What is it: The tallest building in Madison, the Wisconsin State Capitol building houses the state legislature, Governor’s Office and the Wisconsin Supreme Court. Why go: Visitors can stroll along the marble corridors of this quintessential Wisconsin landmark on one of the guided tours. Look out for the fossils dotted throughout the building in limestone floors, walls and railings, and don’t forget to take a moment to admire the ornate rotunda, with its mosaics and ceiling decorations. 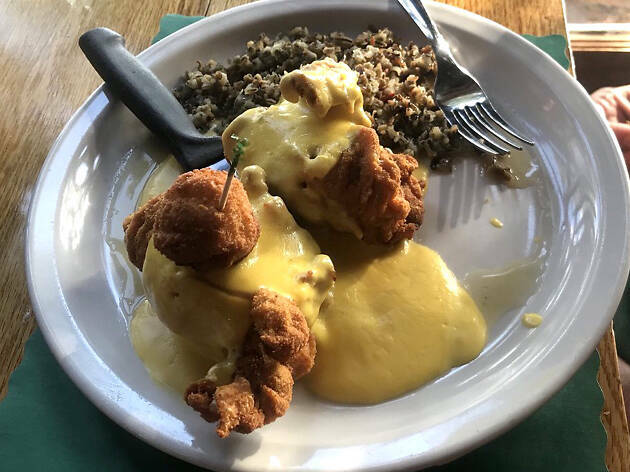 What is it: Wisconsin’s rich German heritage has left its mark on Milwaukee’s Old World Third Street in a fine selection of restaurants and beer halls. Why go: German immigrants came to Wisconsin in droves in the 1800s and brought with them two Wisconsin favorites, bratwurst and beer. 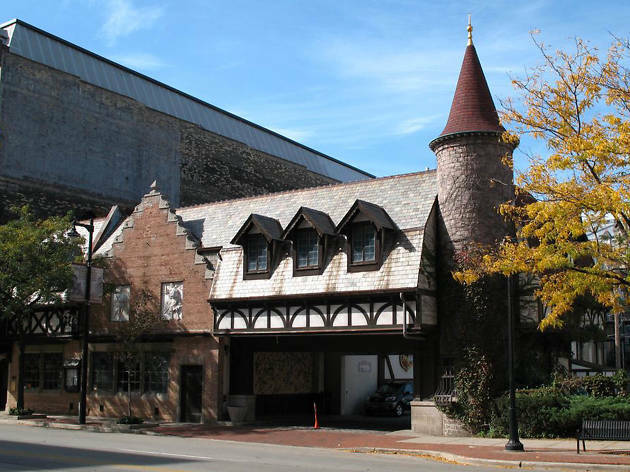 Old World Third Street has preserved their culinary traditions, so be sure to stop by Mader’s for traditional German fare and the Old German Beer Hall for a Maß of Bavarian beer. 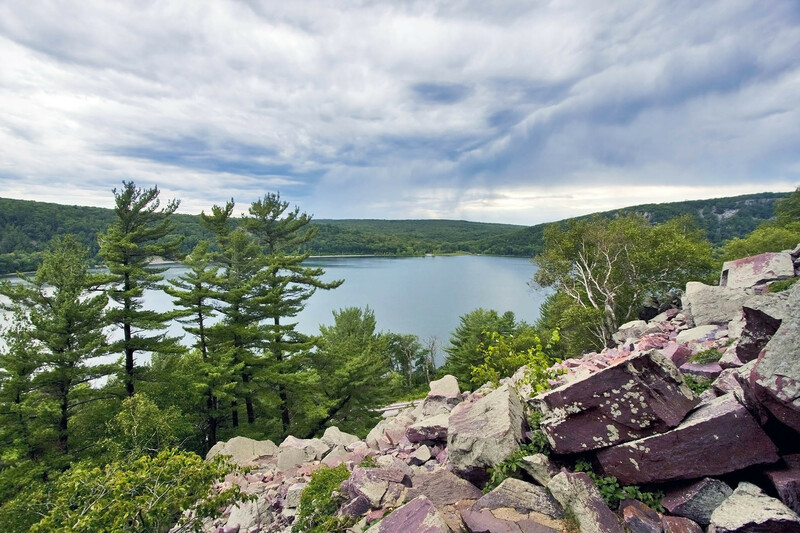 What is it: Famous for its towering quartzite bluffs, Devil’s Lake State Park is the largest state park in Wisconsin. Why go: Carved out by a glacier during the last Ice Age, the park encompasses more than 9,000 acres of space where people come for hiking, rock climbing, biking and more. While the park is a great place to relax and enjoy some fresh air at any time of year, it is particularly beautiful in the fall. 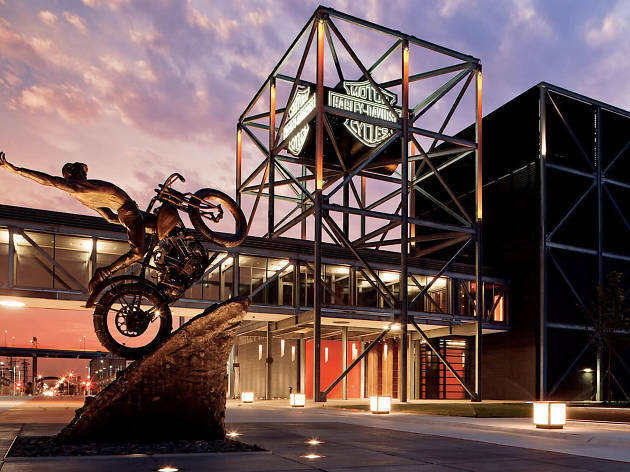 What is it: The Harley-Davidson Museum in Milwaukee celebrates more than one hundred years of motorcycle history. Why go: Harley-Davidson was founded in Milwaukee in 1903 and has been an integral part of the city’s industry ever since. There are more than 450 Harley-Davidson motorcycles on display—from choppers to cruisers—along with stacks of motorbike paraphernalia. What is it: Serving food and drink since the rum-running days of the 1920s, Little Bohemia Lodge was a Wisconsin hideaway for some of the most infamous gangsters. Why go: In Wisconsin’s Northwoods, the Little Bohemia Lodge still shows the bullet holes from the FBI’s shootout with John Dillinger and his gang. Enjoy dinner here while learning more about the notorious shootout. For more gangster history, Milwaukee’s Shaker’s Cigar Bar, once owned by Al Capone, is also worth a visit. 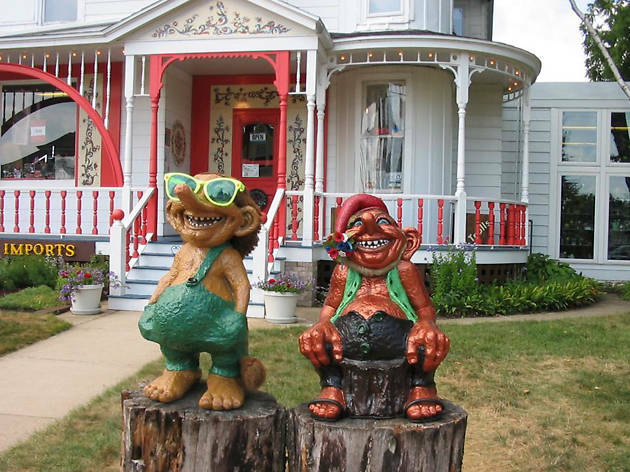 What is it: Given the life-sized wooden troll sculptures lining Main Street, Mount Horeb has become known as the "troll capital of the world." 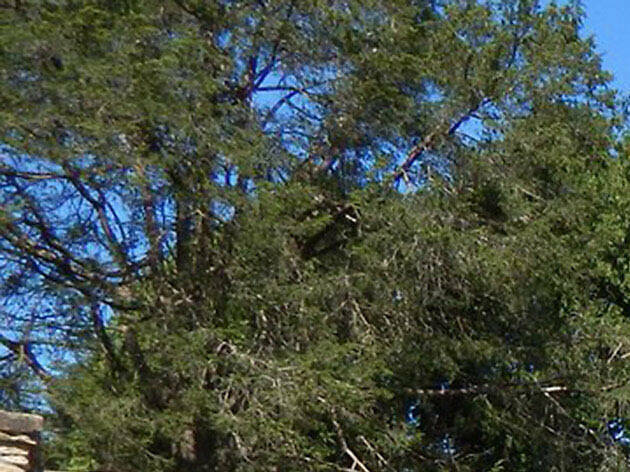 Why go: As a testament to its Norwegian heritage, the village adopted the troll from Scandinavian folklore as its symbol. 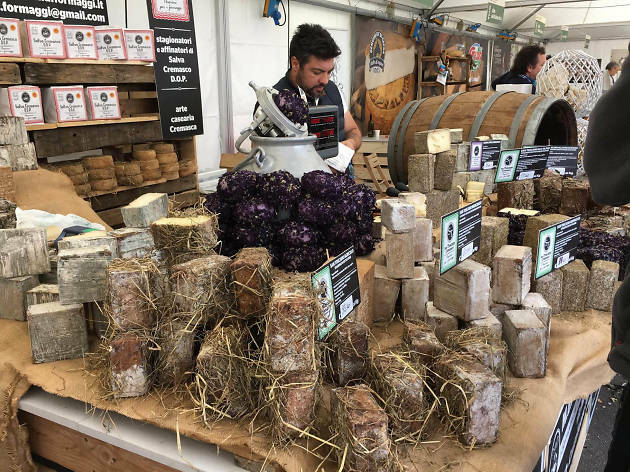 Following the Trollway through this quirky town will lead you to some of the area’s most charming restaurants and shops.